The skills of creating and delivering a great presentation can be a competitive edge in career advancement. 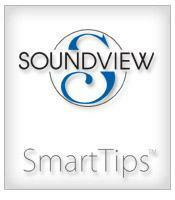 This SmartTips video reviews presentation styles and generic instruction for the right appearance, voice cadence, and how to avoid panic. 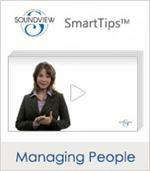 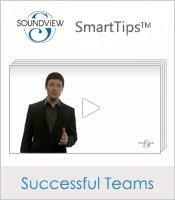 Speaking to a group of people can go smoothly when you employ the suggestions offered in this SmartTips video. 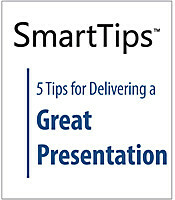 Use it to remind you of the basics, such as knowing your audience, outlining what you want to say and fine-tuning for a perfect delivery of your speech or slideshow presentation.